Nineteenth Century Club (3), a photo by joespake on Flickr. 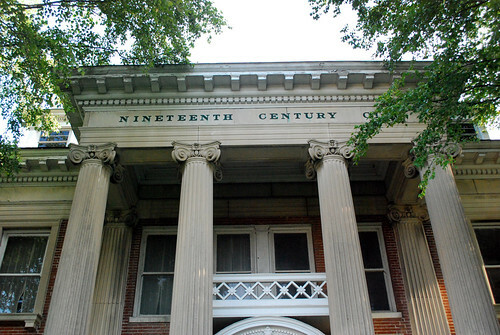 The Nineteenth Century Club Mansion at 1433 Union Avenue, Midtown Memphis, is for sale. Sitting among commercial properties on Union Avenue, the stately and historic building has shown signs of neglect for years. It is the last of the fine mansions that once lined Union Ave.
Hopefully someone with vision and resources will buy and restore this historic landmark. 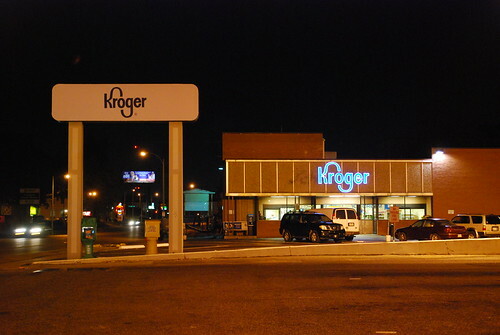 Kroger on Union, a photo by joespake on Flickr. Popular Midtown grocery transitions from Schnuck's to Kroger. Originally Seessel's; then Albertson's; then Schnuck's, and now Kroger.